Interested in discussing Traditional Archery or Traditional Bow Hunting? How about sharing the story of your big game hunt somewhere while using your trusty traditional bow? 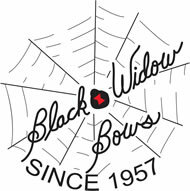 Do you have questions about traditional bow hunting or setting up your new longbow? If so we would love to have you join us at the old campfire! Thanks to all the members for joining Tradhunter.com! My phone number has been changed and in on the Contact Us page.